There is a great deal of interest and ongoing effort in developing biohydrogen (bio-H2) as the next-generation energy carrier, largely due to its high-energy content and intrinsic zero emissions. While research on bio-H2 is underway in all the major regions of the world, historically, the Asian region has contributed significantly to the technical progress and in the development of pilot-scale systems based on organic waste. Although several routes for biohydrogen production from organic waste exist, the microbial route, e.g., the dark and photo-fermentation, is seemingly more sustainable and offers excellent potential for practical application. The microbial route primarily involves substrate and sludge pretreatments and acidogenesis of the hydrolysate resulting in the generation of H2 and CO2. Numerous biomass substrates have been harnessed for the production of bio-H2 in Asian countries, ranging from different agricultural residues to various types of wastewaters, primarily because of their availability in high amounts. This chapter attempts to summarize the research and development in Asian region on biohydrogen from organic waste via microbial route. With a special emphasis on the different types of organic wastes as feedstock for biohydrogen production, high-rate laboratory systems, and feasible pilot-scale systems, this chapter provides a consolidated view of the technological progress made so far in the countries namely Taiwan, India, Japan, China, and Korea. 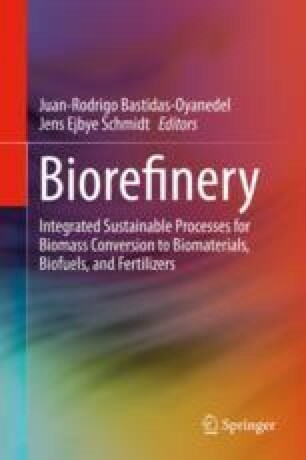 The chapter ends with a brief outline of the current status of bio-H2 production cost while making use of organic waste.